This article will provide you with various ways to change your browsers settings to view pop up messages in the sites you visit. If you are in Microsoft Windows Explorer and wish to disable your Pop-Up Blocker, then you will need to click on Tools at the top of the screen, scroll down and click on Pop-Up Blocker and then click to Turn off Pop-Up Blocker. In Mozilla or FireFox, the Pop-Up Blocker is within the browser. First you will need to go to your Tools menu and click on Options. From there, click on Web Features and then remove the check from the block that says "Block Popup Windows". Once you have done that and click OK, then you should be ready to view your site with Pop-Ups enabled. In the Safari Browser you can change your Pop-Up settings by going to the menu and selecting the Preferences options. Once you have done this, you can then select the Security options. Remove the check-mark from Block Pop-Up Windows and you are done. 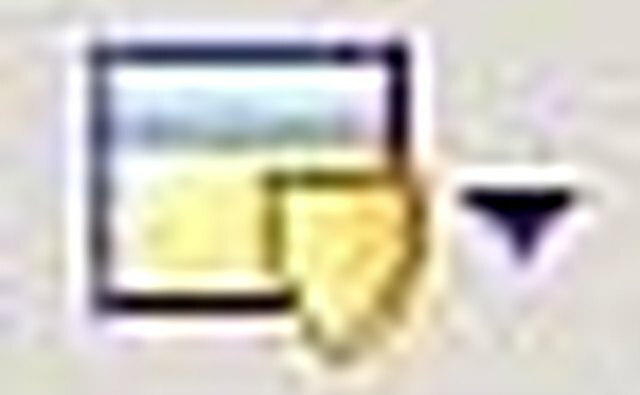 In Netscape you will access your Pop-Up Blocker from the Edit menu. Select Edit, then select Preferences. Next, click beside the Privacy and Security option and you will then see the Pop-Up Windows option. You can then change the settings as you would like. The Google Toolbar also has an icon across the top showing pop-ups that have been blocked. If you are unsure which icon to click on, hover over them first and your browser will reveal what the icon is for without you having to click on it. Clicking on the pop-up icon does allow you to change this setting in the google toolbar. The Yahoo Tool bar will show an icon that needs to be clicked on from the Tool Bar as well. This Icon will look like the one to the side. Click on this icon and you will be able to uncheck the " Enable Pop-Up Blocker" verbiage. If you are using AOL, then the tool bar will show the word "Blocked" on it. This is in regards to the pop-ups and will showcase the total number of pop-ups blocked thus far. To change this setting to allow pop-ups, click on it and it will switch from blocking them to allowing them through. Virus Protection Software that you have enabled on your computer may also have Pop-Up Blockers within it. You may have to pull up your Menu Page of your Software, usually accessible through your desktop, and allow your pop-ups through your Virus/Spyware Protection. Make sure that you not only change your POP-UP settings in your toolbars, but also in your browsers. If you change to enable your pop-ups for a short time due to certain sites you know you will need them on, then don't forget to change them back when you are done.